Despite the advances in the fields of technology and visuals, that enable us to create any kind of digital art even using smartphones and tablets, for some time now and in parallel a kind of art that has its origins in computers and early forms of raster graphic expression seems to be becoming fashionable again. It is pixel art. 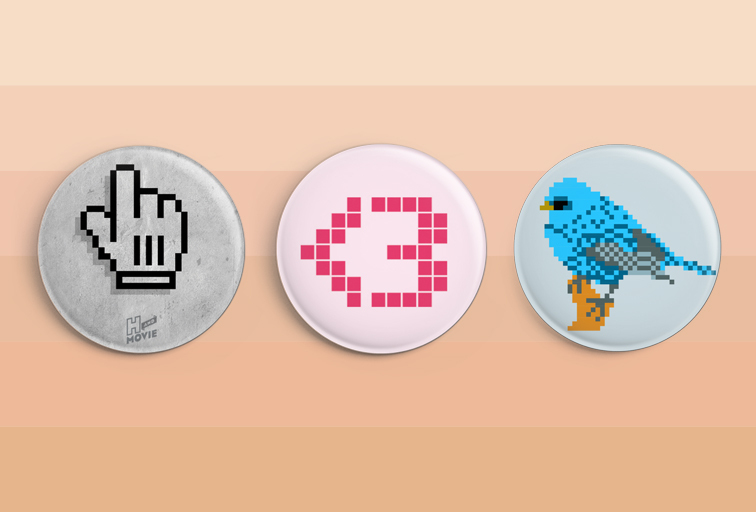 Pixel art (terminology created in 1982) is a digital art form created using graphics editing programs, they are images created using "pixels", simply small squares that make up an image. Many of you will remember the early video games, starring characters such as Mario Bros, which using 16-bit pixelated graphics enchanted many users, so much so that he became an icon of those times. 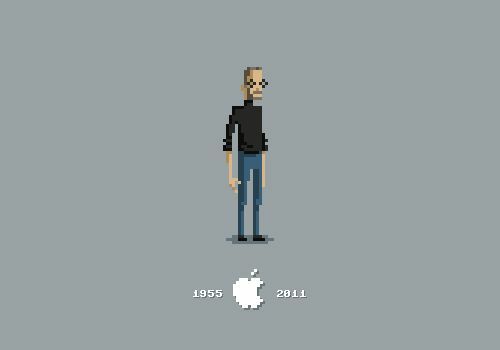 This technique, although it has been active for decades, is currently being reinvented, we only have to think about the work of Michael B. Myers Jr who, pixel by pixel, has drawn icons of our times such as Steve Jobs, the Star Wars' characters or those of the series Lost. 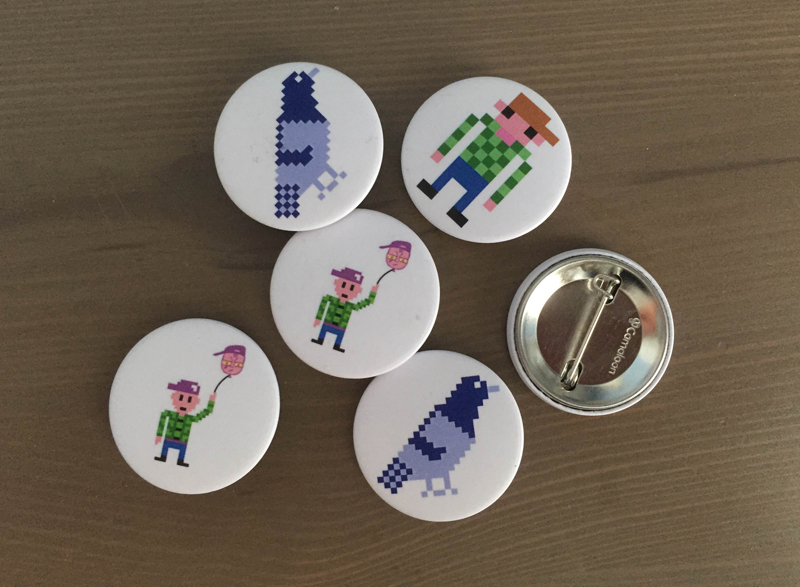 Many of our customers have become fans of pixel art and they are constantly showing us photographs of their badges with pixelated designs. Gerald Bear or Eden Cat who have created real pixel gems.